CONVENIENT CLOSE-IN LOCATION! NICE POOL/TENNIS COMMUNITY! LOT BACKING TO TREES AND CREEK! AWARD-WINNING SCHOOLS! 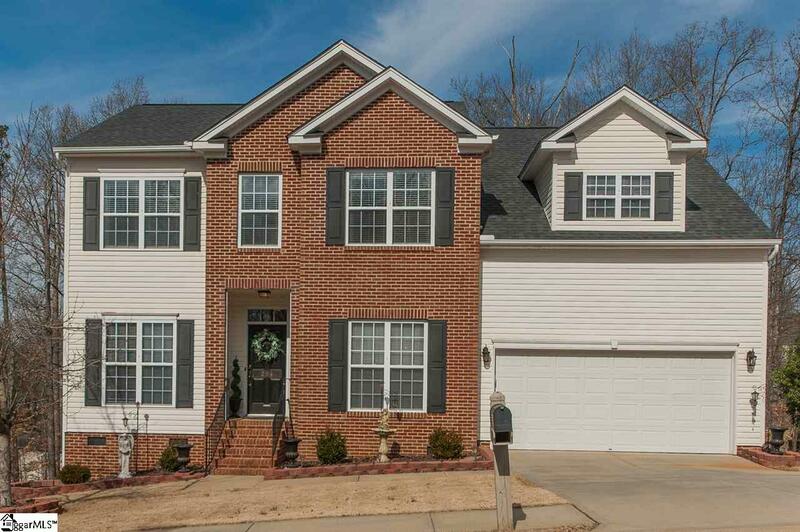 UPGRADED/UPDATED 4 BEDROOM/3 BATHROOM HOME! GREAT PRICE FOR ALL!!! 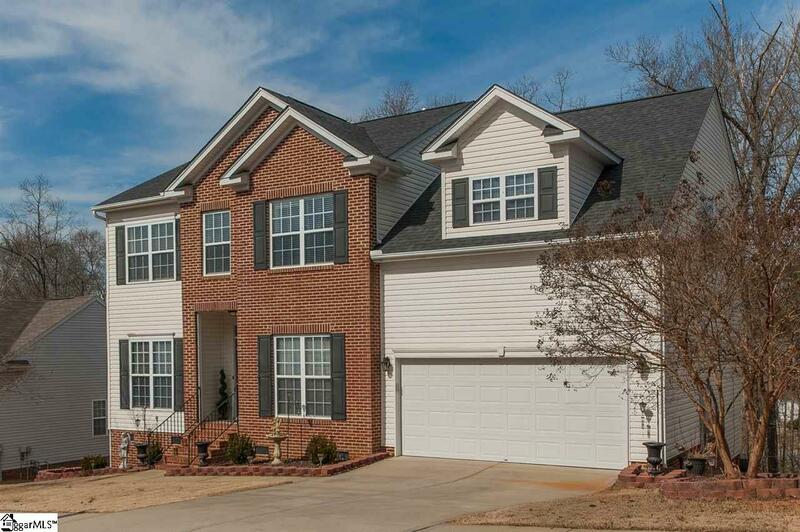 Wonderful Mauldin, a bedroom community of GREENVILLE, with shopping/dining/library just 5 minutes away and GREENVILLES major WOODRUFF ROAD shopping only 10 minutes away, as are the interstates to take you anywhere North toward Spartanburg or South toward Anderson! This NICE COMMUNITY has a great amenity package, including community pool, tennis courts, sidewalks, lights and more! Youll be sure to notice the lovely curb appeal of this home from the front, while the backyard is "special in that it backs to beautiful trees and a bubbling creek, and offers hours of serenity and bird/wildlife watching from the back deck as well as the Sunroom. The beautiful top-ranked SCHOOLS will be a draw for anyone with children, as well as without, since schools are always an asset for "resale value. The HOME itself has an ideal floor plan and a room for everyone and everything! 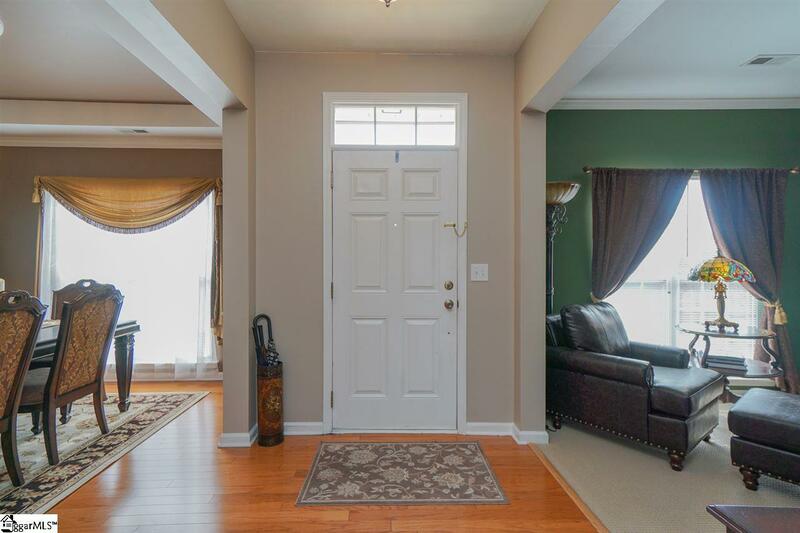 On the Main Level, there is an office/living room, a formal dining room, an open family room/kitchen/breakfast area, a sunroom and a bedroom with full bathroom (a "must for every home)! While the large master bedroom is on the upper level, the main level bedroom could actually be used for the master if desired. 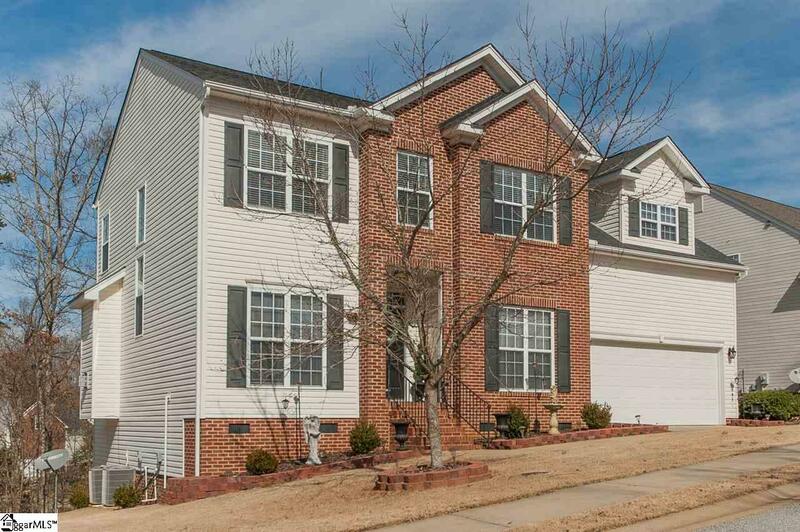 The upper level of the home is very spacious with 3 bedrooms, 2 full bathrooms and a bonus/theatre room/5th bedroom. So many options with this fabulous floor plan. Other special features of the home include: partial brick front, 9 ceilings on main floor, trey ceilings in dining room and master bedroom, wood floors in all the main living areas, gas-log fireplace with marble tiles, great neutral paint throughout, two HVACs, stand-up space underneath the home and tons of walk-in storage in attic, plus racks for storage in the garage. This home has been immaculately kept and with many updates which include: new roof, new screens new carpet and bathroom flooring (2018), new back deck, new garage door opener, new hot water heater, additional landscaping (2017) and neutral interior paint. This is a LOT OF HOME with a BEAUTIFUL YARD in a LOVELY NEIGHBORHOOD and super CONVENIENT LOCATIONso MUCH FOR YOUR $$$!!! Square footage & measurements approximate. If SF is important to buyer, buyer must verify.